Patricia Helen Gilgan Austin, of High Point, passed peacefully Thursday, February 7, 2019, at Brookdale Memory Care. Born in Brooklyn, NY, she was a daughter of the late Edward Thomas Gilgan and the late Helen McKillop Gilgan. Mrs. Austin was a homemaker, attended Fordham University, and was a member of Immaculate Heart of Mary Catholic Church. She was a past member of several civic clubs and organizations, loved gardening, and volunteered at Immaculate Heart of Mary Church and School for forty years. 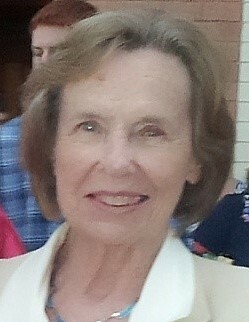 Mrs. Austin is survived by her son, Jim Austin and wife Wendy; daughter, Ellen Adzima and husband Greg all of High Point; sister, Esther Kennedy and husband Richard of Delaware; grandchildren, Alexander, Austin, Jake, and Gray whom she loved more than anything; and a host of nieces and nephews. In addition to her parents, she was preceded in death by her beloved husband, James Allen Austin, Jr.; and her five brothers. Services will be conducted at 11:00 AM Saturday, March 2, 2019, at Immaculate Heart of Mary Catholic Church with Father Joseph C. Zuschmidt, O.S.F.S. officiating. Burial will be private. The family would like to thank the staff of Brookdale Memory Care and Hospice of the Piedmont for their compassionate care and support. In lieu of flowers, memorial contributions may be made to Hospice of the Piedmont, 1801 Westchester Dr., High Point, NC 27262 or Operation Smile, 3641 Faculty Blvd., Virginia Beach, VA 23453.